First criminals could easily get away with murder. Then a killer was caught out by a bloody thumbprint. Now even microscopic clues can be used to collar crooks. 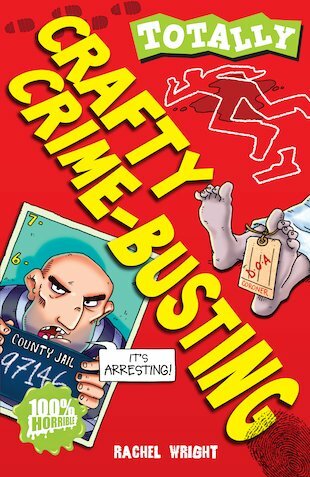 This crafty guide gives you the low-down on how the experts crack crime. Sneak a peek inside and you’ll uncover the correct way to dust for dabs, how to work out if someone’s disguising their handwriting, and why a dead body can reveal crucial clues. Keep your eyes peeled and you’ll discover how DNA solved the mystery of a missing princess, why maggots can help to convict a criminal, and which murderer sealed his fate by polishing his shoes. Try your hand at a spot of DIY detection. Have you got what it takes to crack a case? I couldn’t put this down. It was great and contained lots of true crimes and how the police find criminals. I read most of it before I went to bed which was a mistake.